Sony isn’t wasting any time trying to capitalize on the shocking success of Jumanji: Welcome to the Jungle. Per Variety, a sequel to the box office sensation has already been given a nebulous December 2019 release date. Tom Rothman, who is better known as the current chair for the company, just announced the news to the audience of Sony’s CinemaCon presentation. Notably, this means that Jumanji’s sequel will face up against Star Wars: Episode IX, which could potentially spell trouble for the film. Still, given the runaway box office success of the latest Jumanji film, they don’t seem to be concerned about the competition. Welcome to the Jungle made $404 million domestically, and added another $552 million at the international box office. The budget for the film was reportedly $90 million. 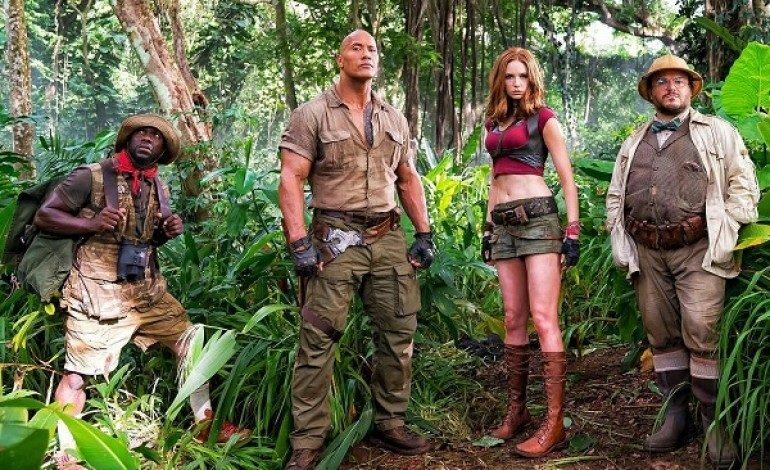 Jumanji: Welcome to the Jungle is an action-adventure-comedy film headlined by Dwayne Johnson, Karen Gillan, Kevin Hart, and Jack Black. In the movie, they play video game characters who display the personalities of high school students who get magically sucked into the game world. Writer Scott Rosenberg is confirmed to be returning from the first film to work on the script for the sequel, but a director has yet to be named. According to reliable sources in my imagination, the sequel to Jumanji: Welcome to the Jungle will either be titled Jumanji: Rock n’ Roll All Nite, Jumanji: Crazy Train, Jumanji: Enter Sandman, or Jumanji: Nothin’ But a Good Time. Sources also note that reading the word Jumanji repeatedly makes it look really weird.